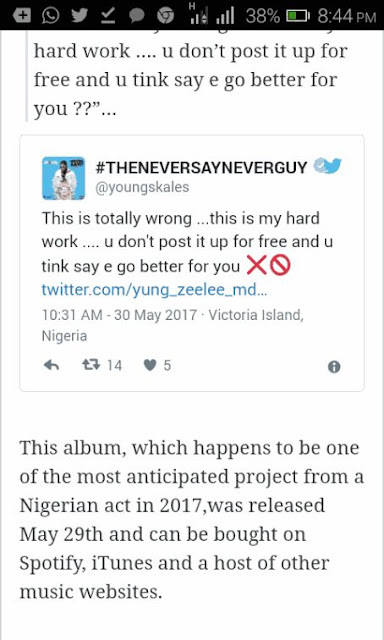 Singer Skales may not be having the best of time now as his sophomore album, ‘the never Say Never Guy‘, which dropped couple of hours back, have been uploaded for free download on several blogs. 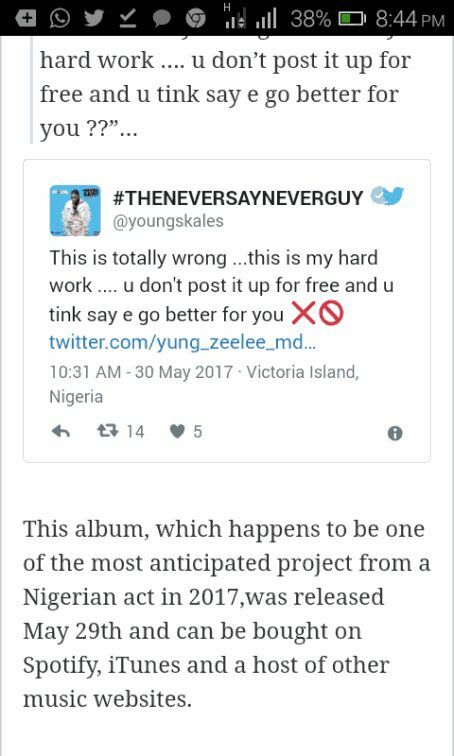 The Baseline act, took to his social media page to cuss out bloggers for putting his ‘hard work’ out there for free. 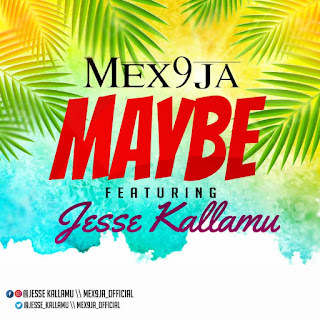 There has been no response to "It Will Never Be Well With You – Skales Slams Bloggers"